When I have a mouse cursor size that is bigger than the actual mouse, this shows up. Please help! It is really annoying and it makes my computer lag. It does not survive a reboot, but right when someone else logs into my computer or I log out and then log back in, it starts again. One issue could possibly be with the Shake mouse pointer to locate. 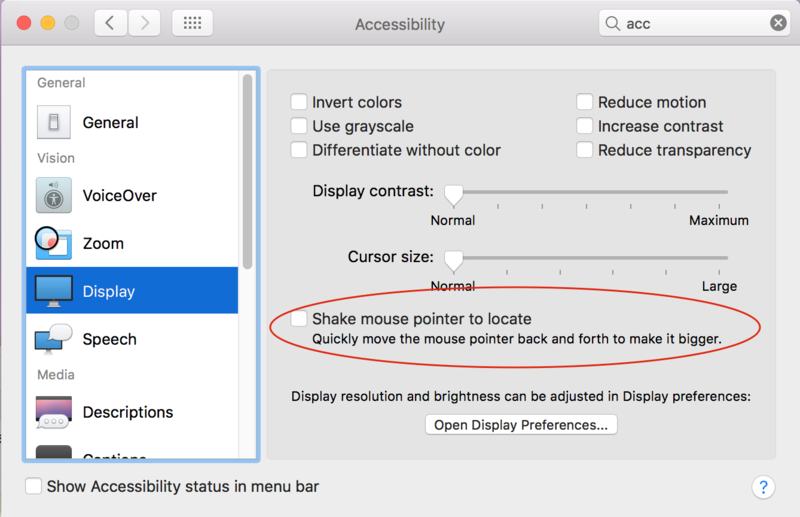 Go into System Preferences -> Accessibility -> Display. Uncheck the option: Shake mouse pointer to locate. This might fix it but I'm not sure. Because this only happens in your user account we can be pretty confident it's being caused by something in your user account. 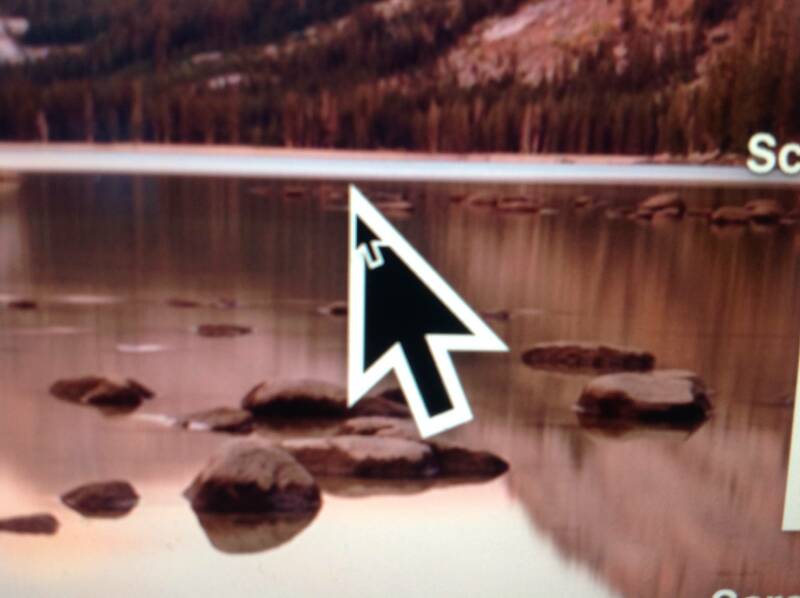 Do you know if you've installed any kind of program that would change the way OS X looks, maybe a cursor program..? You can try Safe Boot as well by restarting your Mac and holding down the Shift key as it boots. Safe mode uses only required kernel extensions and disables login items, as well as emptying some system caches. If the problem doesn't happen in Safe Boot we'll know for sure that it's one of these issues. If it's a login item you can clear these out in System Preferences > Users & Groups > Login Items. If it's a cache issue these are usually fixed just by going into Safe Boot. If it's a kext that's a little more complicated but I can show you a method to find out which one it is.